A 612-kilometre foot race in Canada's Arctic doesn't leave much room for mistakes. When Didier Da Costa inadvertently touched metal on his sled bare-handed, it meant the end of the race for him. A participant in a grueling Arctic foot race had to drop out early after a series of small missteps cost him the race. Racers in the 6633 Arctic Ultra race started off in unseasonably mild temperatures on Thursday, March 8, but by the following Monday, proper Arctic winter weather had returned. By Tuesday, only seven of the 20 racers who started were left in the extreme-distance foot race that bills itself as the "toughest, coldest, windiest, distance foot race on the planet." It begins in Eagle Plains, Yukon, and continues through the Northwest Territories communities of Fort McPherson, Aklavik, Inuvik and finally on to Tuktoyaktuk for a total of 612 kilometres. There's also a shorter race that's 193 kilometres. Didier Da Costa was among the race leaders, but he made a mistake while going to sleep Tuesday night. "I woke up a bit cold ... I had forgotten to take dry gloves with me," Da Costa, a racer originally from France, but who has lived in Ireland for over a decade, said this week. He got out of his sleeping bag to look for his gloves, but he had misplaced his head lamp and he couldn't see clearly as he went to search for his pull-behind sled. "I tried to grab the pull [sled] with my hands but instead of touching the plastic part, I ended up touching the bars … I got burned from that, and I got very cold," said Da Costa. Da Costa awoke fellow racer Patrick O'Toole and asked for help to find his gloves. After finding the gloves the two decided to carry on with the race rather than go back to sleep. The two racers were more than halfway from Aklavik, N.W.T., to Inuvik, when Da Costa's pain became too much for him. The men decided to activate the emergency function on a satellite beacon device. No one responded, so they approached a nearby racer who had a satellite phone. They called for help and, as they waited, the three burned Da Costa's excess clothing and gear to keep themselves warm. Eventually Da Costa was picked up by race volunteers who transferred him to an ambulance for transport to the hospital in Inuvik. When Da Costa got to the hospital he had frostbite on his fingers. He said he was also told his liver wasn't functioning properly, possibly from hypothermia, although he was released from the hospital within a few hours. 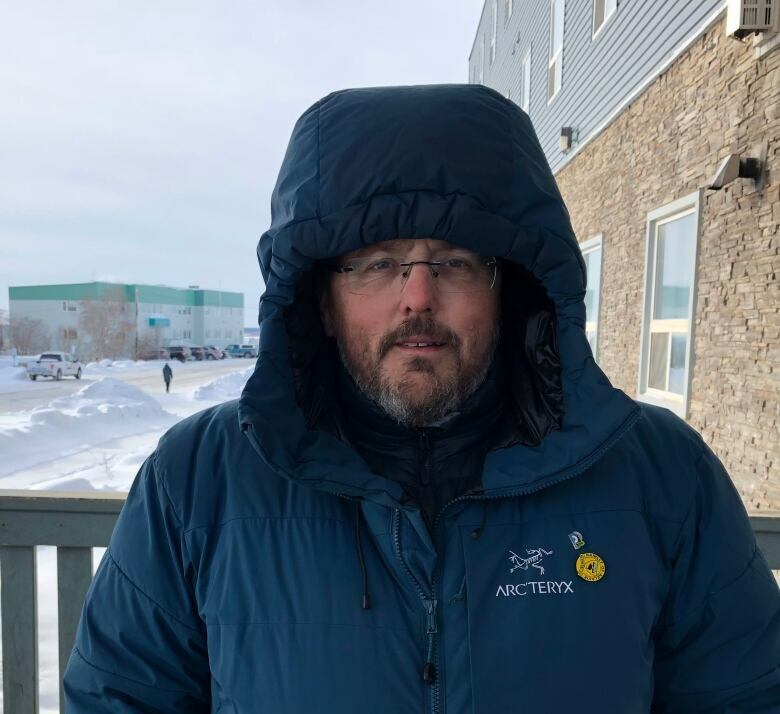 Arctic ultra marathon racers face a real risk of severe frostbite. 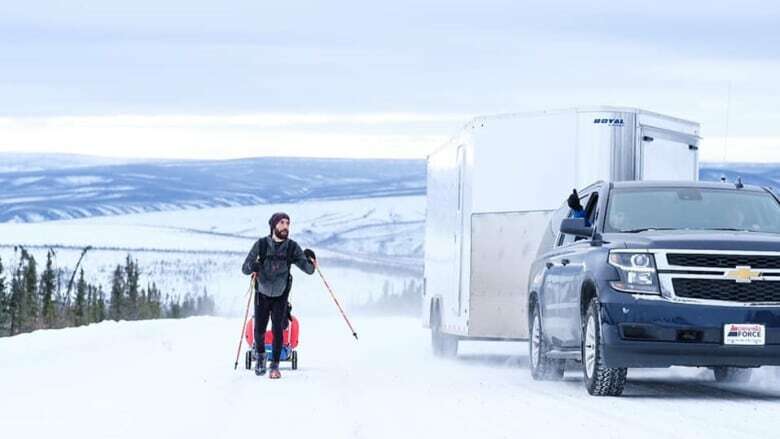 After a similar race in the Yukon last year, an Italian racer had his feet and hands amputated, and a British competitor lost three toes as a result of the extreme cold. Martin Like has been organizing the race for 11 years. He said that any time officials see a racer in danger of frostbite, they pull them out. Da Costa is a good lesson that an Arctic foot race can go sideways suddenly. "Didier [Da Costa] was racing very, very well," Like said. "He wasn't doing anything wrong. I had him tipped to win the race." "The simple act of just going to get your gloves just escalated to going to the hospital." The two racers who sacrificed their race time to help Da Costa will have that amount taken off their final time. Da Costa said although he won't be able to do the race again for the next couple years, he hopes to one day. "Physically I'm fine," he said. "I think it's more the mental. It's a big disappointment from a little mistake." The race will end Saturday. This story previously identified a photo of race organizer Martin Like as racer Patrick O'Toole.